Image above: ®Estate of Bob Carlos Clarke, Bent, 2002, Courtesy The Little Black Gallery, London. “Selfies, belfies ...” It’s the evening of Wednesday May 20th and flamboyant flaxen-haired London Mayor Boris Johnson has breezed in to Somerset House to open Photo London, London’s biggest photography fair in a decade. With all the endless demands he gets to pose for selfies, it’s great to be among real photographers, he says. In an age when we all take endless images on our smart phones, he adds more seriously, we shouldn’t forget photography’s significance as an important and longstanding art form. Photo London opened to the public on Thursday May 21st and will run to Sunday May 24th. Upwards of seventy galleries have taken over the chandelier-hung warren of rooms in this palatial building overlooking the Thames. Somerset House was founded in 1547 and rebuilt in 1775, initially as the site of the Royal Academy, and has been a home for the arts ever since. The vast courtyard with its dancing fountains is dominated by “The Teaser”, an installation by German photographer Rut Blees Luxemburg. Ten glowing light box cubes show images of London’s ever-changing landscape, overlaid with fragments of text telling a love story, laid out on a metal grid inviting spectators to walk between them. Blees Luxembourg focuses on lonely urban spaces shot largely at night. For this piece she’s collaborated with philosopher Alexander Garcia Guttmann. London is abuzz. The whole city has been transformed into a hub of photography. Besides the galleries filling Somerset House, there is Offprint, the international art-publishing fair, at Tate Modern, and related events and exhibitions at the Science Museum, the ICA, the National Portrait Gallery and galleries across the city. In the echoing basement of Somerset House are three landmark exhibitions. “Genesis” is a selection of previously unseen large scale platinum prints from the celebrated epic series by Sebastiao Salgado. There are extraordinary images of Amazonian rain forests, Arctic wastes, Brazilian shamans, an iguana’s scaly foot. Salgado was presented with Photo London’s Master of Photography Award on the first day of the fair in well-deserved recognition of his lifetime achievement. There’s also the first UK exhibition of Iranian photographer Kaveh Golestan’s “Prostitute” series, his 1970s’ portraits of grim-faced but resolute women in bleak rooms with strip lighting, taken in the Citadel of Shahr-e No, the former red light district of Tehran which was demolished in 1979. It’s a harrowing record of the lives of the dispossessed and desperate. “Beneath the Surface” is a selection of treasures from the archive of the Victoria and Albert, the first museum in the world to collect photographs. Among many fascinating images are William Strudwick’s albumen prints, which take us back to the narrow streets, Dickensian urchins and coaching inns of Victorian London. There’s also Tommaso Cuccioni’s amazing and enormous 1860 print of the Coliseum. Stepping into the fair proper, it’s hard to know where to begin. All the big hitters are here, from London’s Photographers’ Gallery to galleries from New York, Paris and Scandinavia. The James Hyman Gallery is showing major works including rare Gustave le Gray seascapes - his beautiful 1857 “La Vague Brisée”, an albumen print of a breaking wave made by combining two different exposures. The gallery also has wonderful images by Man Ray and the great New Wave French photographer Raymond Cauchetier as well as André Kertesz’s 1920s images of London and up to the minute works by Jon Tonks. Tonks has been documenting the tiny islands that constitute the last vestiges of the British Empire. His 2013 pigment print of Marcus Henry, manager of St Helena’s Weather Station, forlornly holding up a huge weather balloon on a beach, is here. It was a winner of the Taylor Wessing Photographic Portrait Prize. (Left) © Raymond Cauchetier, A Bout de Souffle (Jean-Paul Belmondo and Jean Seberg), 1959, Courtesy James Hyman Photography, London; (right) © André Kertész, King Solomon (Egg Slicer), 1941, Courtesy Estate of André Kertés and James Hyman Photography, London. Particularly fascinating is the Discovery section, a group of up and coming galleries showcasing emerging artists. Tiwani, a London gallery, shows the work of African photographers mainly in their thirties. Nigerian Andrew Esiebo has a witty series of images of barbers, in Bamako, Accra and Abidjan, wielding scissors or gazing sternly into the camera. Alida Rodriguez, a young Angolan artist based in the UK, turns Victorian postcards into disturbing and rather beautiful images, replacing human heads with plant forms - flowers, leaves, vines - in an imaginative commentary on the grafting of cultures. Swiss-Guinean Namsa Leuba photographs a young Guinean acrobat posed against a backdrop of red and blue plastic sheeting like a fashion model. © Andrew Esiebo, Untitled, From the Series Who We Are, 2010, Courtesy Tiwani Contemporary, London. © Alida Rodrigues, (left) Paeonia tenuifolia, 2014; (right) Colchicum autumnale, 2014. Courtesy Tiwani Contemporary, London. The Belgian gallery Ibasho focuses on Japanese artists. Forty-year-old Naoyuki Ogino’s images of movie sets in Kyoto riff on the trope of movie as modern day myth. He also has a series of images - buildings in Milan, a pair of bare feet - which he’s developed like salt prints on Japanese washi paper, experimenting with the techniques of pioneering Victorian photographer Henry Fox Talbot. They shimmer with a mysterious gold lustre. © Yoshinori Mizutani, YUSURIKA, 2014. Courtesy of Ibasho Gallery. A.I. has the work of two women photographers. Canadian Fiona Struengmann spent twenty eight days filming in Antarctica. Her “Articulated Silence” depicts huge white empty landscapes, places where the trace of man is small - ice floes, snow-covered hills in Antarctica, white slopes in British Columbia dotted with distant pine trees. Paired with these quiet meditative images are Singaporean Sarah Choo Jing’s surreal portraits of urban isolation, eerie images of lit up rooms and spotlit figures slumped under lampposts. © Fiona Struengmann, Antarctica Iceshelfs, 2010. Courtesy of A.I., London. © Sarah Choo Jing, Waiting for the Elevator, Video Still (Detail_2), 2014. Courtesy of A.I. Gallery, London. Then there are French performance artist Thomas Mailaender’s “Cyanotypes” at the East End gallery Roman Road. Mailaender’s blue-tinted cyanotypes (a process from early photography, used by Anna Atkins) range from “Electric Jesus” - a traditional Christ strung up on a telegraph pole - a woman with a black eye and “Grandma Thug”, an elderly woman on a sofa with a gun in each hand. He also appropriates bizarre images which have gone viral on the internet. His work is uniformly witty and transgressive. As a performance artist he prints images direct onto spectators’ skin using an ultra violet lamp. It’s part of his “Archive of Modern Conflict” and the process hurts, like the injuries sustained in war. The London gallery Edel Assanti is showing works by French artist Noémie Goudal. “Les Amants” is deliberate deception, using man-made materials to depict water - a tarpaulin standing in for a waterfall, a polystyrene “block of ice” and smoke grenades creating the illusion of steam. It’s a commentary on both the fragility of the natural world and the ability of the camera to lie. © Noemie Goudal, Iceberg, 2012, From the series Haven Her Body Was, Courtesty Edel Assanti, London. In all there are some thirty six artists in the Discovery section, all eager to hear who will be the recipient of Photo London’s new award for emerging photographers, the John Kobal Residency Foundation Award, the prize being a two month fully paid residency in New York. The winner is announced on the first day of the fair. In the event it’s Japanese artist Daisuke Yokota. Thirty-two year old Yokota is already considered a rising star in Japan, famous for his live book-making performances. At Photo London he shows “Hyper Materiality”, a spectacular waterfall of computer paper, cascading down the wall and across the floor, printed with his trademark blackened, distressed, overworked negatives. It’s an ironic comment on the endless quantity of digital matter. He also shows a series of blackened images, not so much black and white, like Daido Moriyama’s, but just black and heavily textured. Having taken the image he boils then scans the negative and sometimes burns it, photographing over it again and again, erasing all the details till the original image becomes a dark mysterious shadow. The result is as much an image of the process as of the original subject. Thus arms and legs become simplified into bulbous sausage-like cylinders. It remains to be seen how he will use his residency in New York - for as distinguished artist Susan Derges said in a talk on Day 1, Thursday, a residency has the possibility of transforming an artist’s way of looking at the world and of working. Photo London is an all absorbing immersive experience. By day 2 I still have many galleries left to see. 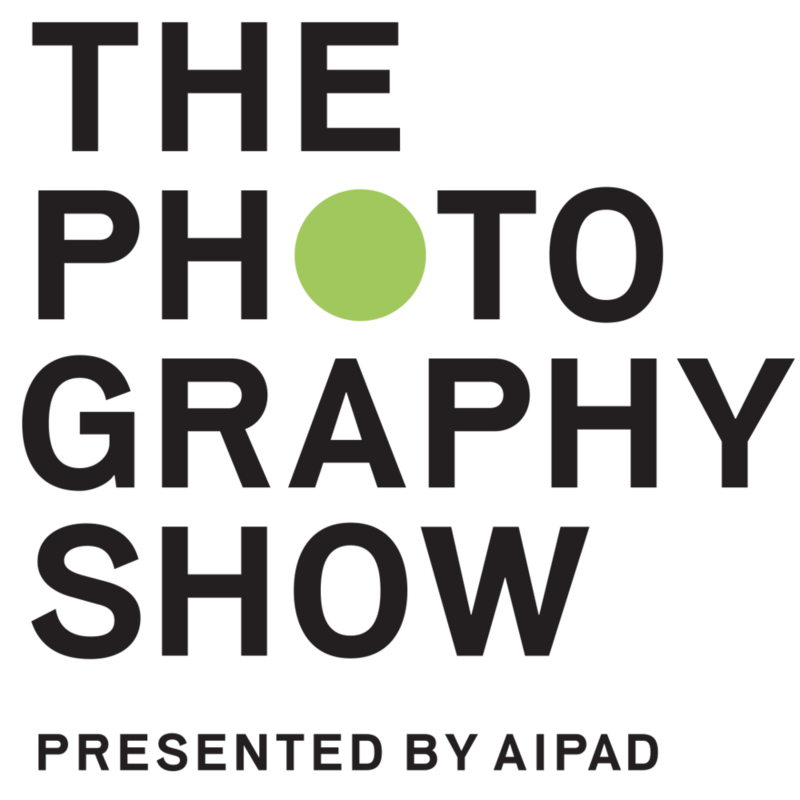 There is also a whole programe of fascinating talks by and about photographers and curators, of which more shortly.